No failures without doing the next step, no risks while staying still. Daring to embrace the new, changing parameters of perception and picturing the world from a different perspective. The magic of the new is fuelled by unusual feelings, uncomfortable situations and unwieldy emotions. Uniqueness is born from limitations just as is the unexpected and the now. 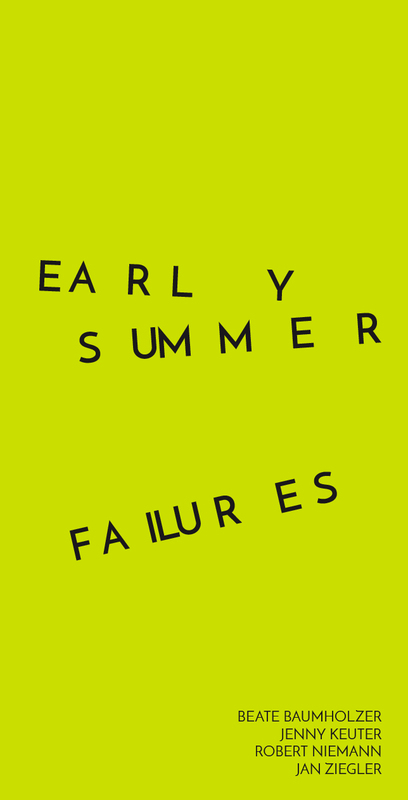 coGalleries is pleased to present EARLY SUMMER FAILURES, a group exhibition showing recent figurative and abstract works by four Berlin-based artists. Each artistic position is moving in untried directions, to explore new facets of expression without excluding the at times unsettling moment of surprise. Beate Baumholzer tames her expressive signature and finds compact, clear compositions that symbolize magically charged landscapes of hermetic atmosphere. In her subtle, calligraphic work Jenny Keuter discovers a new painterly and at the same time more complex form of expression enriching her fascinating vocabulary of vibrating drawings. Robert Niemann’s once static portrait drawings have developed into surreal, almost exaggerated figurative compositions that irritate through their autonomous coloration. Jan Ziegler’s abstracted figurative depictions and his gestural landscape paintings tend to capture human emotions in visual references beyond established aesthetics. And even if they fail, its just early summer. 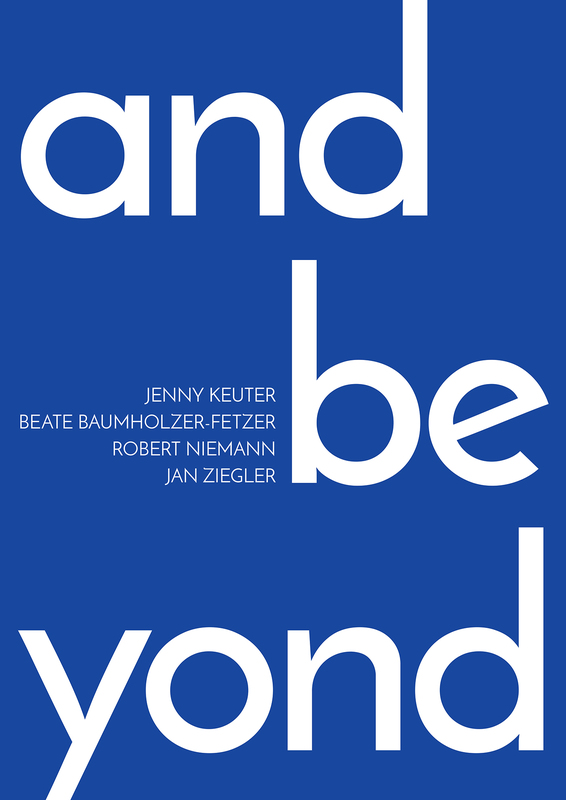 WHITECONCEPTS PROjECTS is pleased to present and beyond, a group exhibition showing recent gurative and abstract works by four Berlin-based artists.and beyond explores the notion of profoundness – the search for what lies in front, behind, or in between an image and its beholder. The shown works are subject to rather invisible or hardly perceptible aspects of art and art making, such as intuition, feeling and meaning. In their drawings and paintings, the artistsexplore this matter from different perspectives. 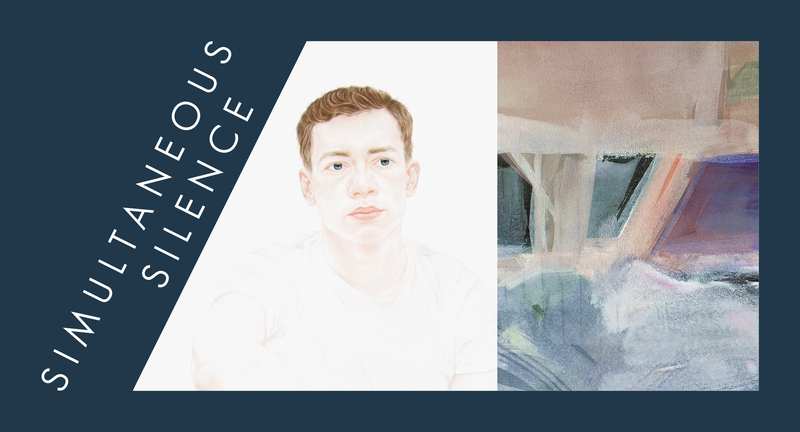 Beate Baumholzer’s portraits incarnate stories of intimacy and sensual beauty which are presented in her objective paintings. Robert Niemann’s artwork captures intimate human situations detached from their spacial environment – moments in time that express quiet re ectiveness and contemplation. Jan Ziegler is using sketchy outlines scratched in wet paint that catch moments of fragility within his abstracting portraits. 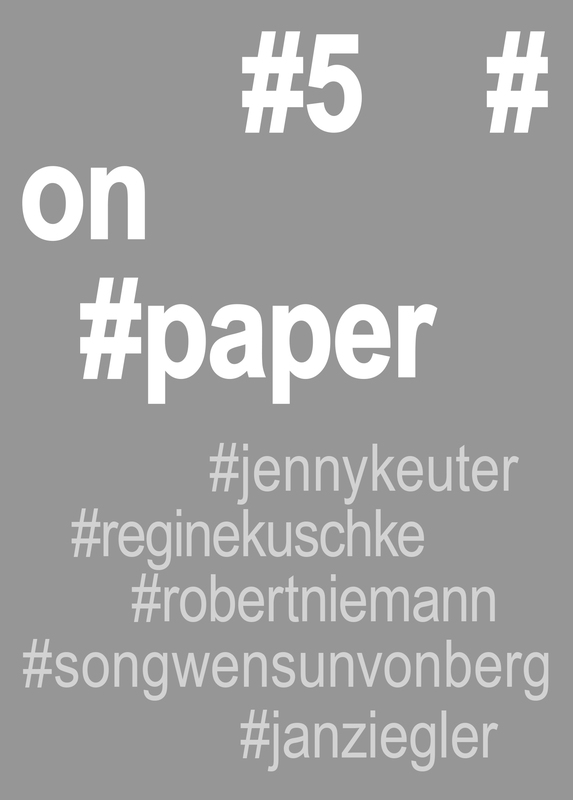 Unter dem Titel #5#on#paper werden fünf Profile der Galerie für junge Künstler- und DesignerInnen spannungsvoll gegenübergestellt. Die dynamischen grafischen Arbeiten von Jenny Keuter oszillieren zwischen Flüchtigkeit und Präzision und erschaffen bewegte Bildflächen. Regine Kuschke verleiht den Protagonisten ihrer hintergründigen, fast surrealen Darstellungen assoziative Vielschichtigkeit. Robert Niemann zeigt neue Zeichnungen die eine verstörende emotionale Präsenz und psychologische Tiefe ausstrahlen. Songwen Sun-von Berg bringt uns in ihren meditativen Tusche Arbeiten die Stimmungswelten und Naturgewalten der Jahreszeiten näher. Jan Ziegler schenkt dem Moment des Zufälligen Beachtung, in seinen -random landscapes- entstehen durch Überlagerung von Acrylfarben und Lacken imaginäre räumliche Dimensionen und kalligrafische Landschaften. 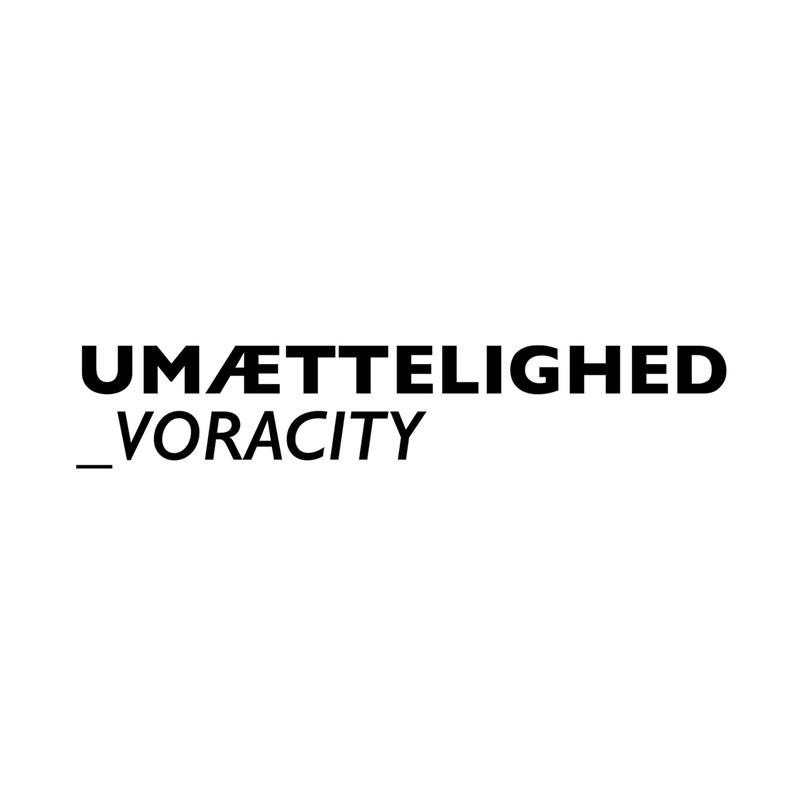 We are happy to announce our pop-up group show UMÆTTELIGHED_VORACITY at BLAA GALLERI KØPENHAVN October 7th - 9th 2016. 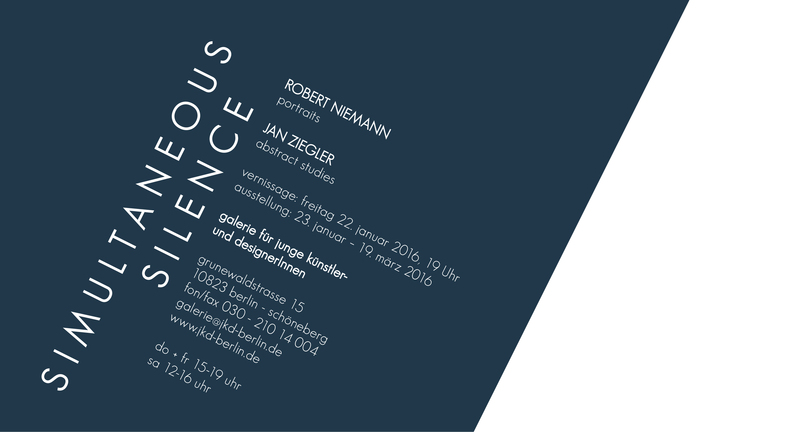 We presented this exhibition with the title VORACITY as a contribution to Berlin 48 Stunden Neukölln Art Festival in June 2016 before its roll-out in Copenhagen. The show introduces ve distinct artistic positions, each understanding art as an engagement as an insatiable driver of individual expression, here displayed together for this temporary presentation. In their drawings , paintings and installation works, the artists Beate Baumholzer, Davide Hjort, Donata Kindesperk, Robert Niemann and Jan Ziegler demonstrate modern societies steady greed for aesthetic novelties and changes. The need for unexplored visual stimuli is deemed to be a base of human culture. Since always, portrait images are giving the opportunity to display reality in versatile variations and mostly play with glori cation and idealisation.The yearning of a narcissistic society for self-portraits, for admiration and con rmation by its social environment is playing a key role in this context and is re ected critically in the artwork displayed. 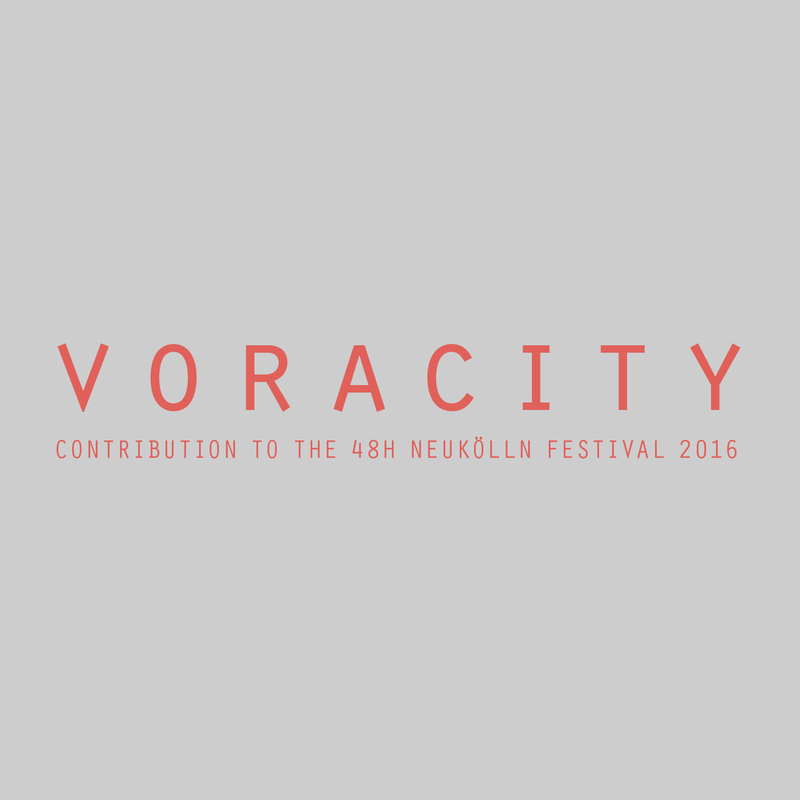 As contribution to the 48H NeuköllnFestival 2016, the exhibition - VORACITY - in GALLERY MESSING presents five artistic positions which understand the engagement with art as an insatiable driver of individual expression. In their drawing and painting works, theartists Beate Baumholzer, Davide Hjort,Donata Kindesperk, Robert Niemann andJan Ziegler demonstrate modern societiessteady greed for aesthetic novelties andchanges. The need for unexplored visualstimuli is deemed to be a base of humanculture. Since ever, portrait images are giving the opportunity to display realityin versatile variations and mostly playwith glorification and idealisation.The yearning of a narcissistic societyfor self-portraits, for admiration andconfirmation by its social environmentis playing a key role in this context andis reflected critically in the displayed artworks. Unter dem Titel simultaneous silence werden zwei künstlerische Profile spannungsvoll gegenübergestellt. Stille und Anmut, Distanz und emotionale Präsenz sind Aspekte, denen sich beide Positionen in unterschiedlicher Weise nähern. Es sind menschliche Abbilder, die Robert Niemann in präzisen Bunt- und Bleistift Zeichnungen auf großen Papierbögen platziert. Den intimen Portraits und Körperansichten gehen fotografische Studien von Freunden und nahestehenden Personen voraus – eingefrorene Momente, nach innen gerichtete Blicke und erstarrte Bewegungen, losgelöst von ihren Raumbezügen. In Ihrer durchdringenden Präsenz auf den weißen Blättern, ziehen die Dargestellten alle Aufmerksamkeit auf sich. Dem Betrachter wird schnell bewusst, dass hinter dem Moment von Schönheit und Sinnlichkeit auch verborgene Sehnsüchte und unbewusste Emotionen in innerweltlichen Tiefen schlummern. Da ist die große Stille, die das menschliche Ich zu sich selber führt. Die abstrakten Acrylstudien von Jan Zie ler entstehen in zunächst flüchtigen Anordnungen farblicher Flächen und Texturen auf kleinen Leinwandformaten. In wiederholenden Prozessen verschiebt sich eine ursprüngliche Komposition, wird bereits erschaffenes in mehreren Schichtungen überlagert. Innerhalb eines teilweise unbewussten Ablaufs manifestiert sich eine Ordnung, die den Moment des Zufalls nicht ausschließt. Vage Verweise auf figurative Landschaften entziehen sich im nächsten Moment wieder einer realitätsbezogenen Betrachtung. Viel mehr sind es innere Landschaften - mindscapes - die den Betrachter in ihrer abstrahierten Gestik emotional berühren wollen. Auch vermeintlich abgeschlossene Arbeiten werden als Studien verstanden, als ein Innehalten in einem fortwährend möglichen Prozess universeller Entfaltung.Menschliche Faszination entspringt oft Momenten der Verstörung. Anmut zeigt sich meist unerwartet und absichtslos. Die Stille hält alles bereit.